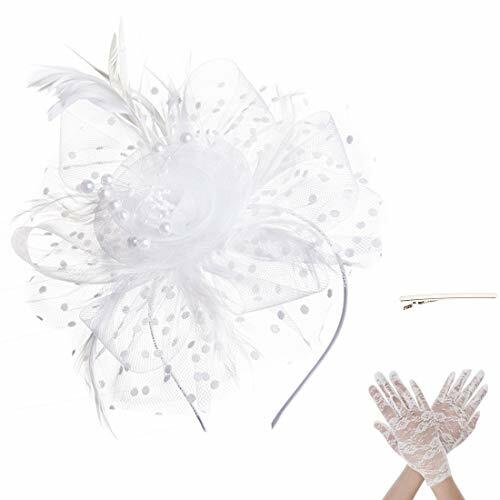 High Material: The beautiful fascinator headband for women, 102% handmade with organza and feathers. 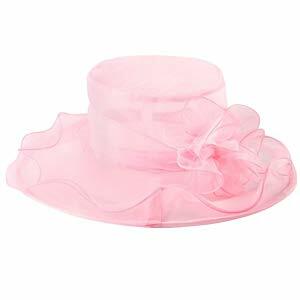 With removable headband and hair clip, very lightweight, soft, cute and easy to wear,suitable for all kinds of hairstyle. 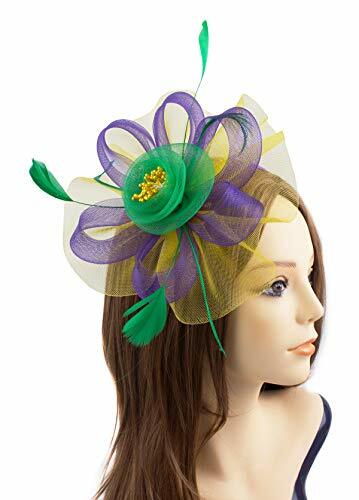 One Size Fit All: The feather fascinator hair clip headband is about 5.31"x 4.13", flower diameter is about 7.87", headband is about 4.33 x 5.11", hair clip length: 2.16". 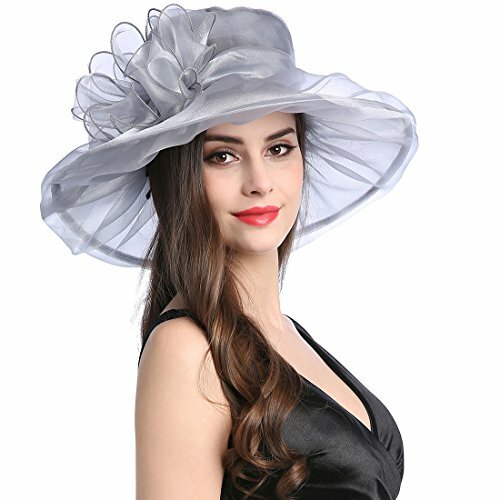 It's a must accessory for women and girls. 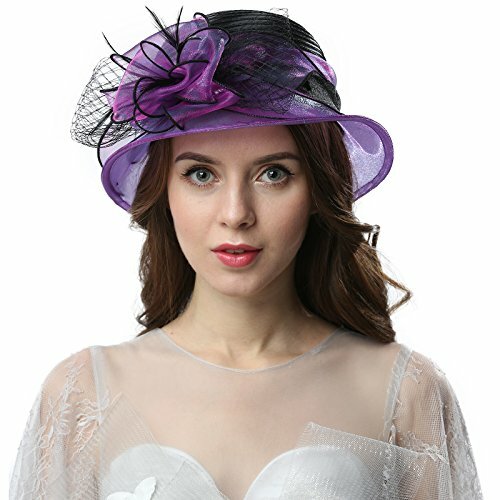 Unique Design: The handmade flower mesh headpiece gives a nod to vintage style with a bouncy mesh base organza ribbon and flight feathers. 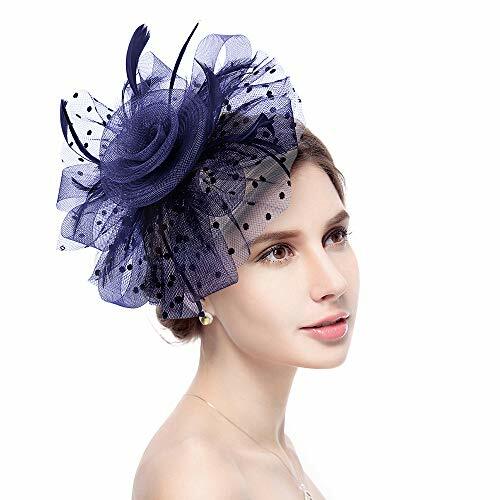 This stylish ,noble, delicate feathers fascinators are made you look more charming,special and beautiful. 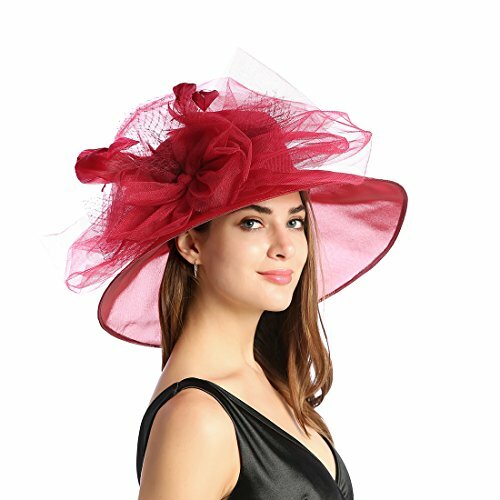 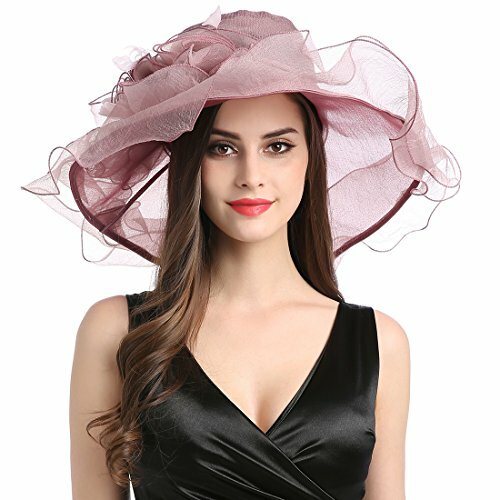 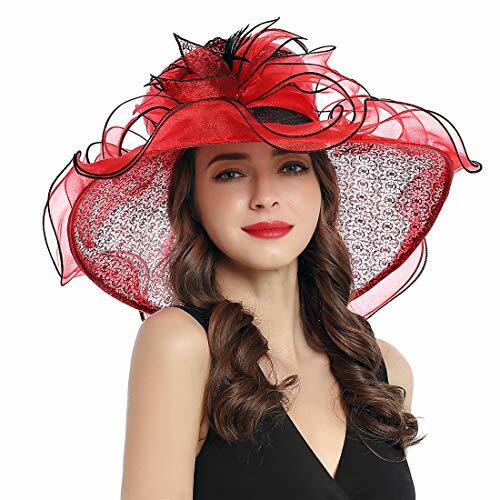 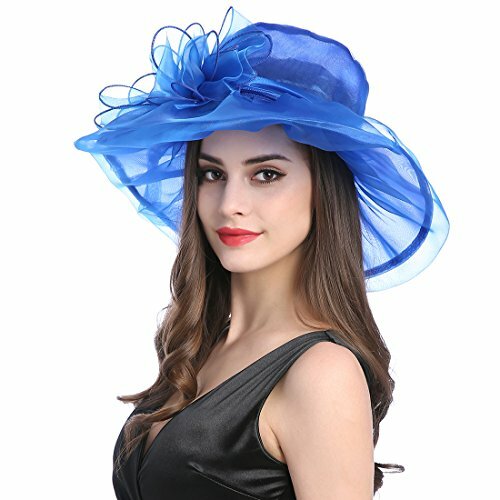 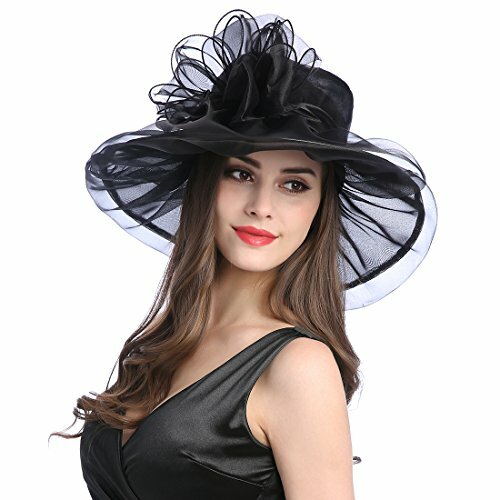 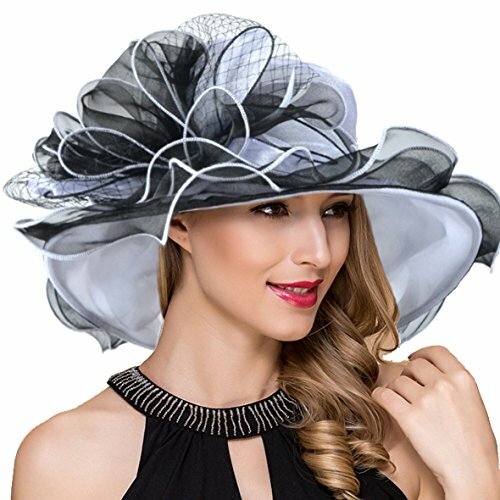 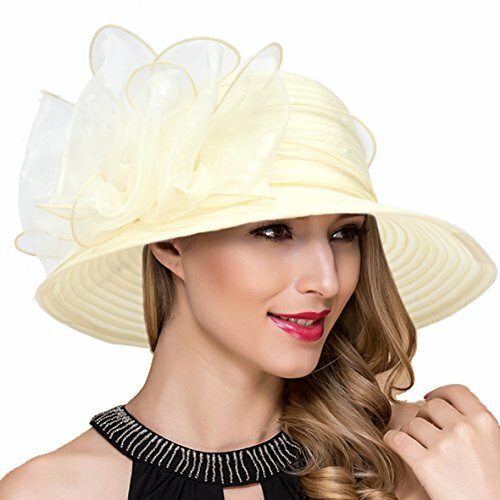 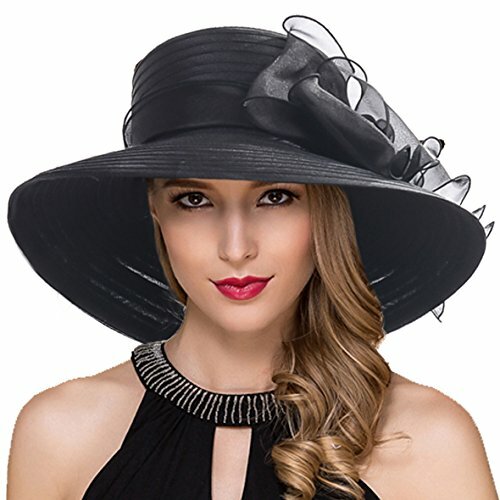 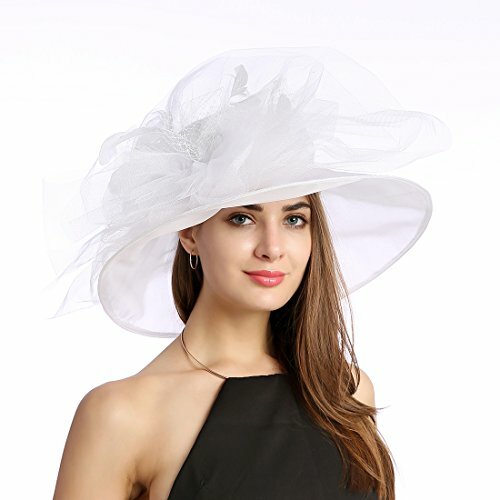 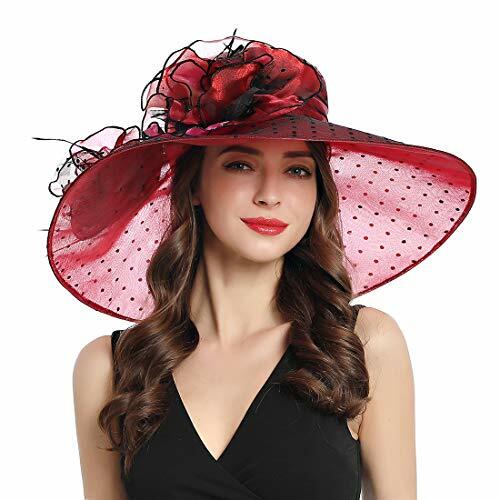 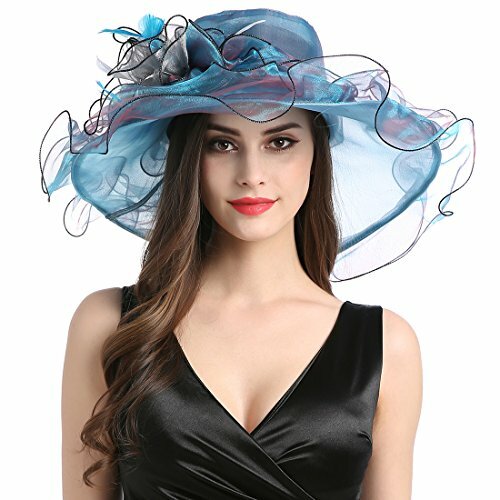 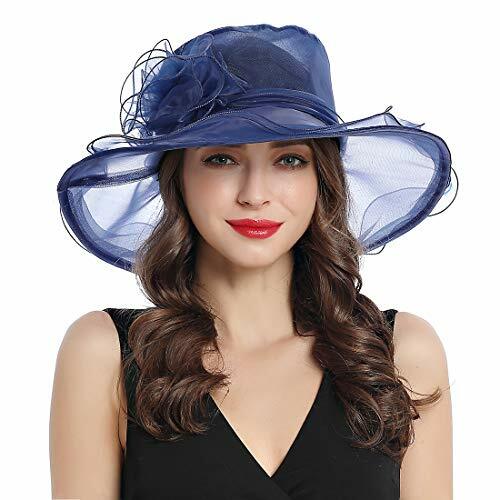 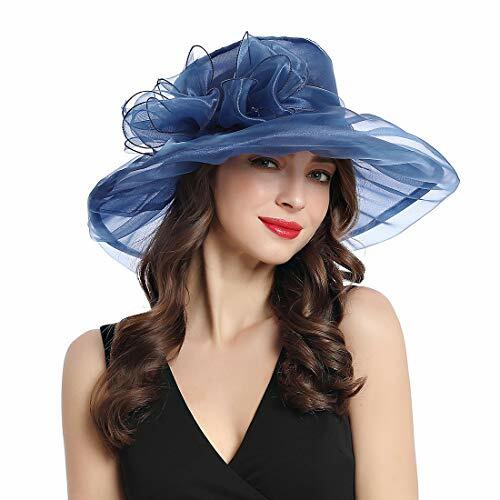 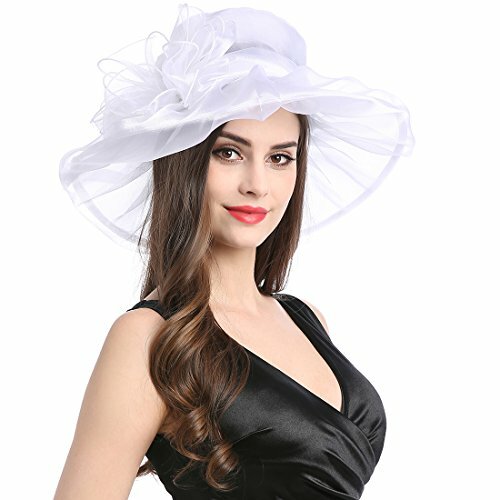 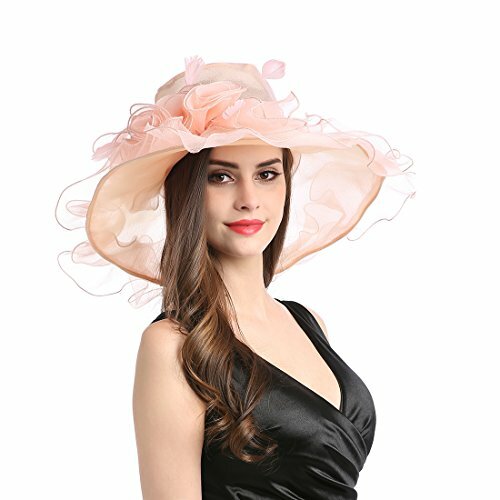 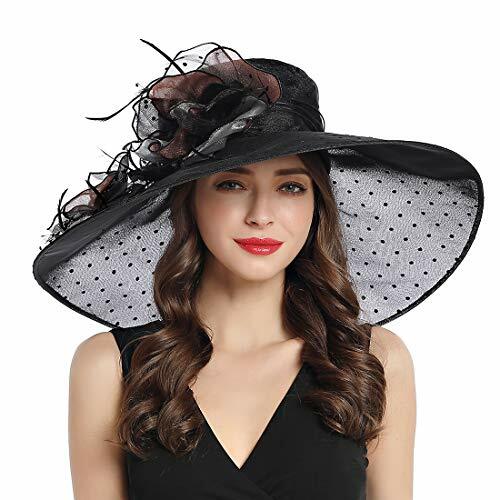 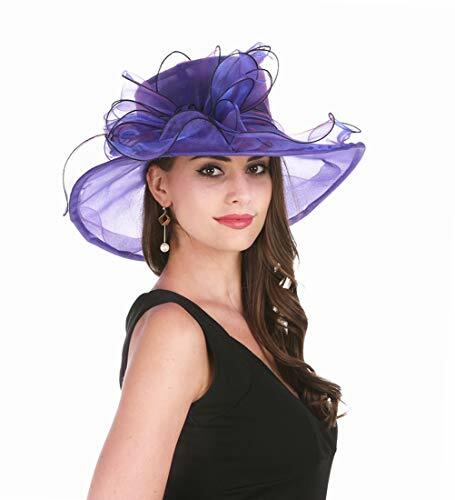 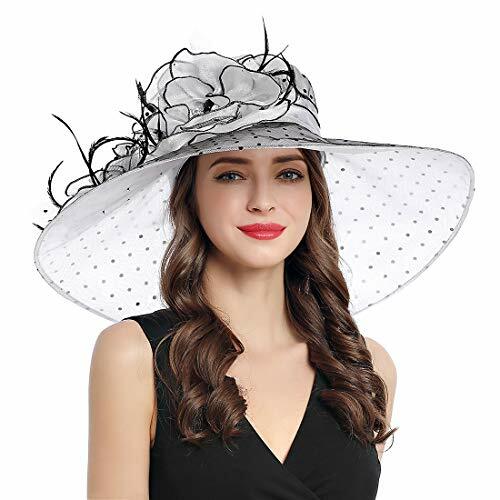 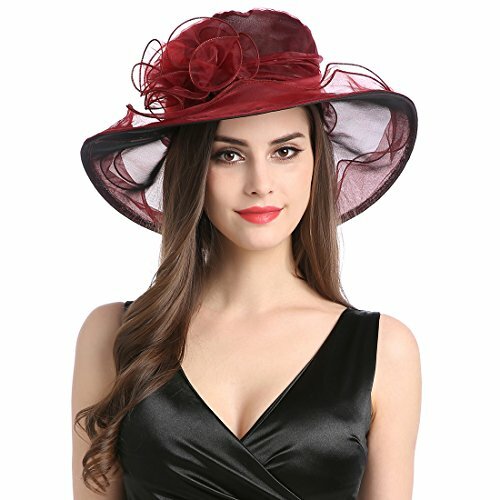 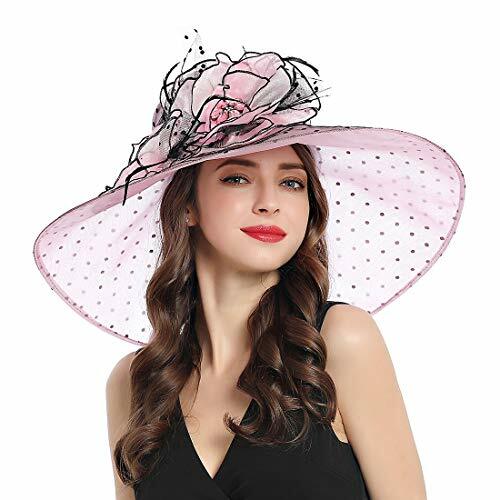 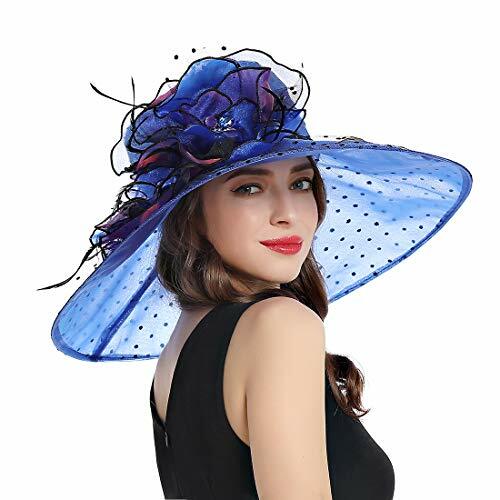 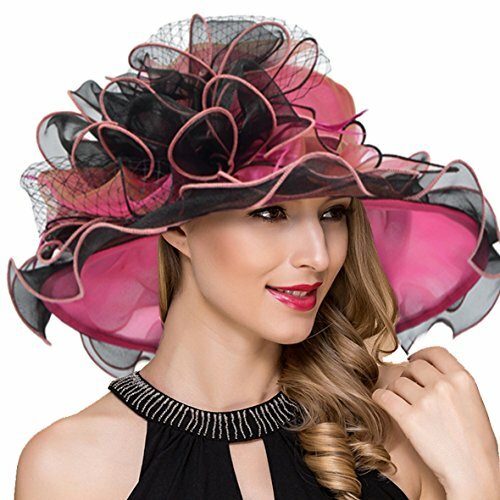 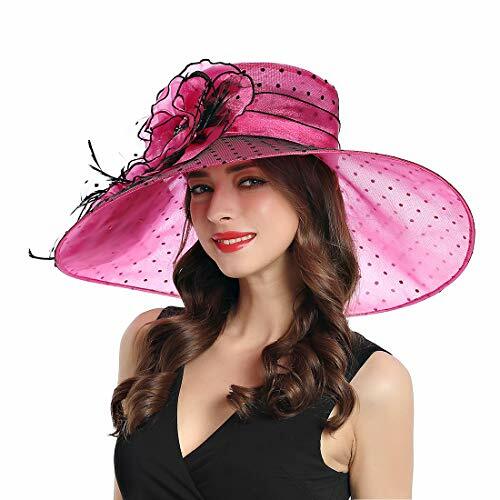 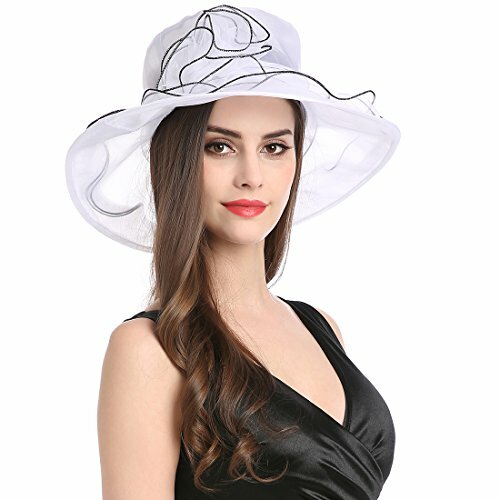 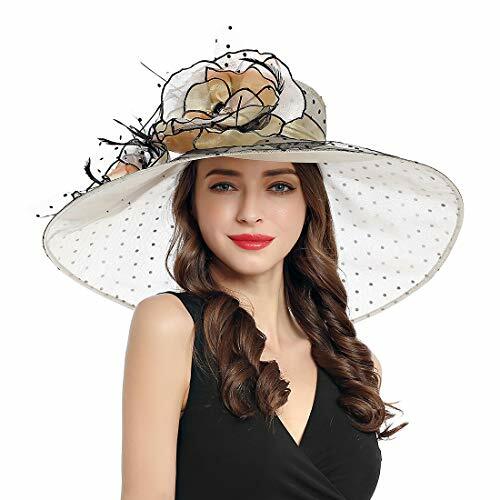 Fit Any Occasion: It's the perfect ladies church hats, derby hats, wedding hair accessory to wear to a british themed tea party, kentucky derby race,cocktail party, costume party,Garden Party,,Easter and Church, Carnivals or any Events any Special Occasion. 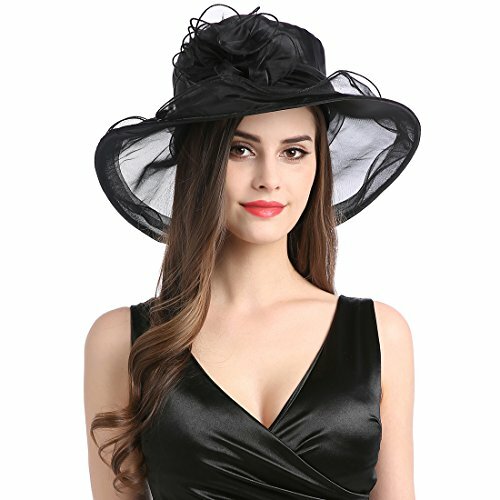 Great Gift Choice:This classy and elegant Halloween fascinator headpiece is a great choice for your grandmother, mother, wife, girlfriend, daughter, relative, friends, co-worker on Haoolween, Christmas Day, Anniversary, Valentine's Day, Mother's Day, etc. 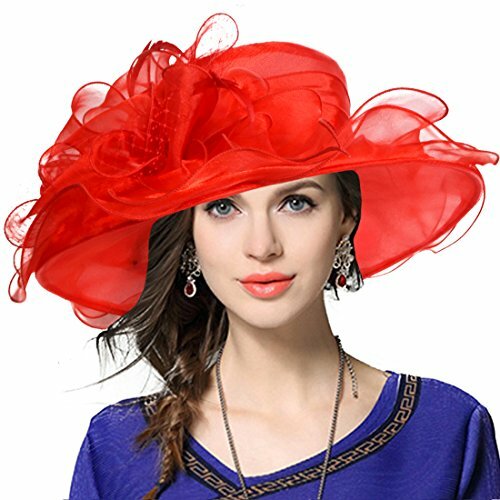 EXQUISITE WORKMANSHIP: The Christmas costumes flower fascinator hat headband for women girls is well handmade with bright organza and feathers, cute veil. 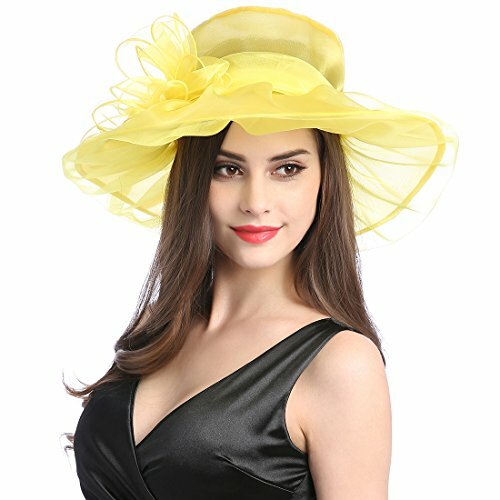 It will be more beautiful and shining in the sun. 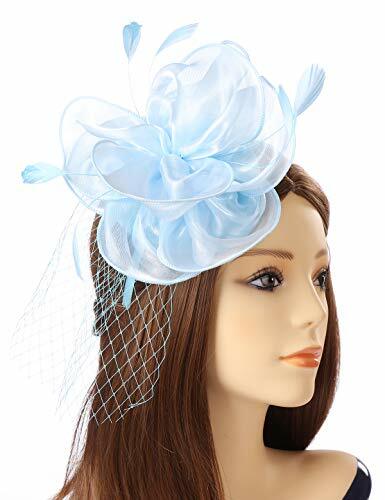 Easy To Wear: This pretty fascinator headpiece comes with a headband and a hair clip. 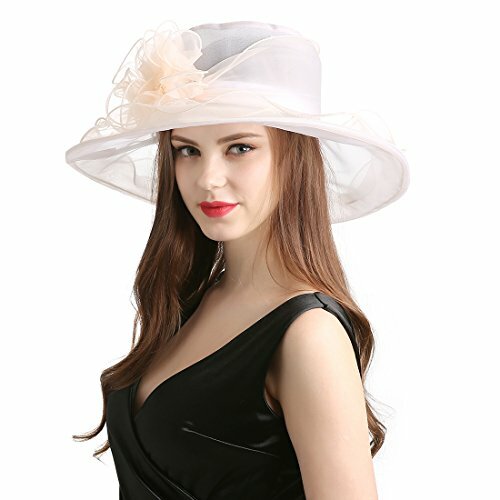 You can wear it in different ways as you like. 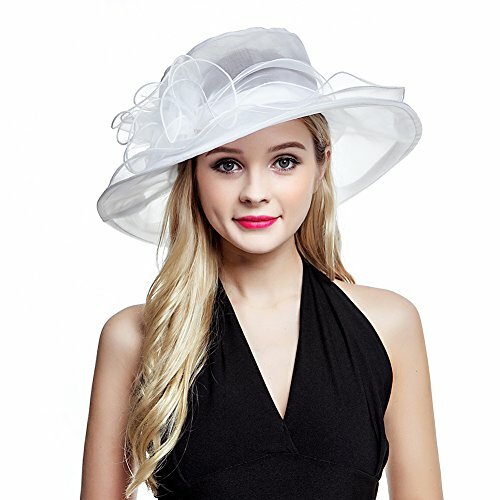 This gorgeous headpiece will add to your outfit. 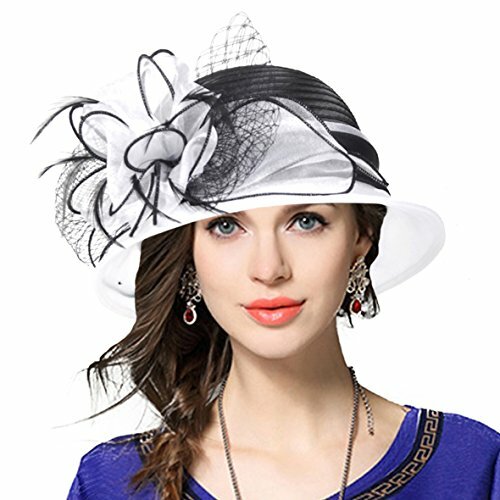 GREAT GIFT CHOICE: The fascinator hat dresses up any outfit. 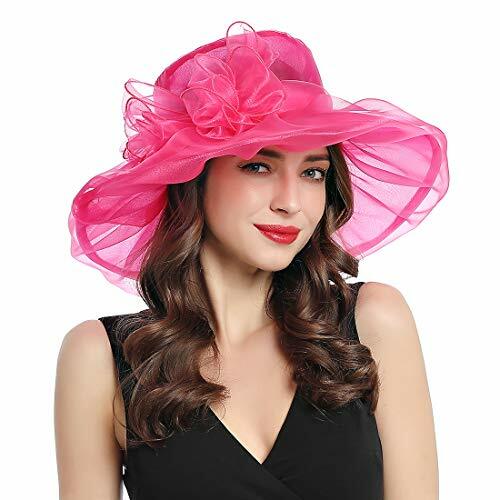 Wonderful party favors in a couple of brilliant colors to be worn by your guests at a tea party. 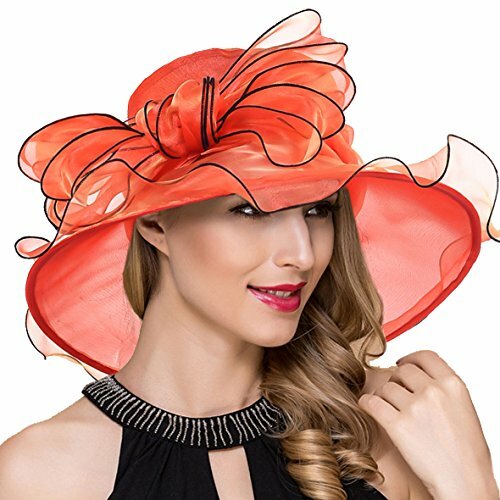 Meaningful Thanksgiving Day or Christmas gift for your beloved, Mother's Day Gift or Church Headwear for mom. 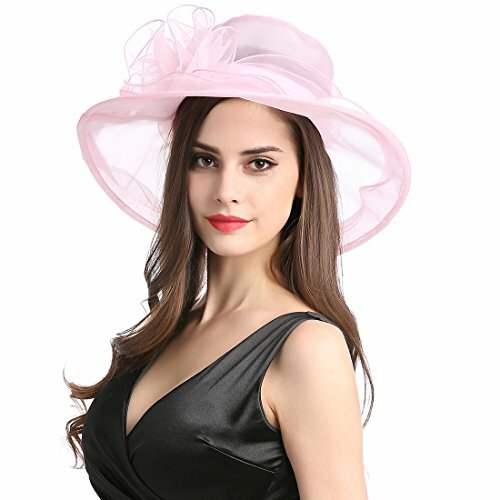 FIT ANY OCCASSION: Suitable for tea party, Kentucky Derby, Ascot, Royal events, Christmas costume party, bridal shower, wedding, church, cocktail party and prom. 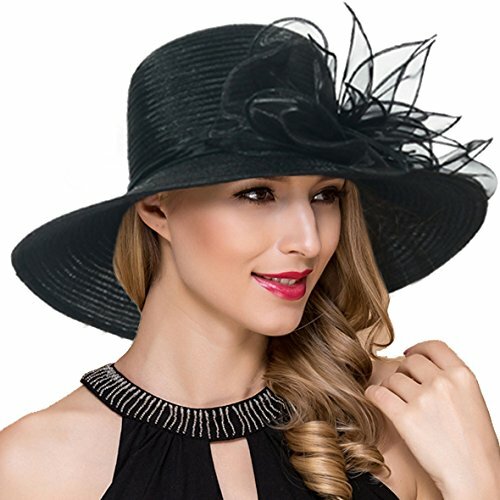 Perfect for fun photo shoots. 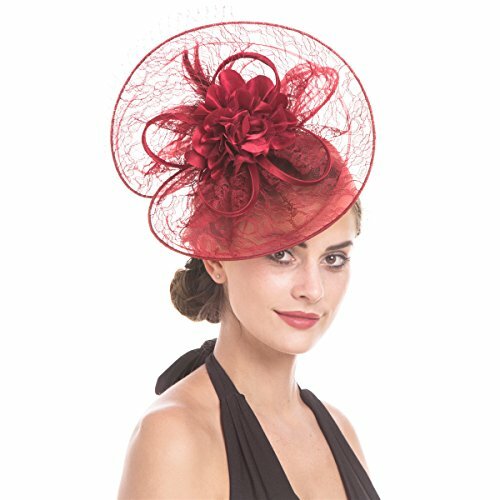 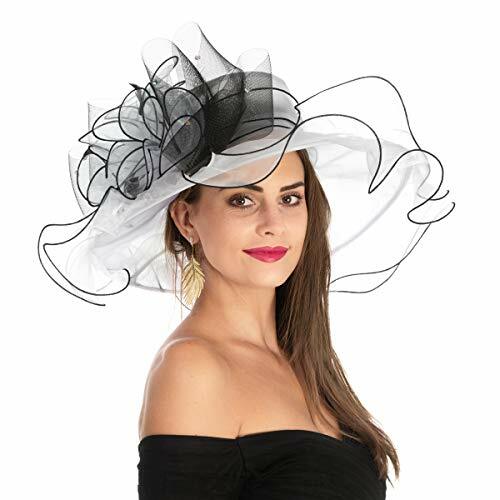 One Size Fits All: The size of the fascinator hat base is about 13.5*10.5cm(5.31x4.13cm). 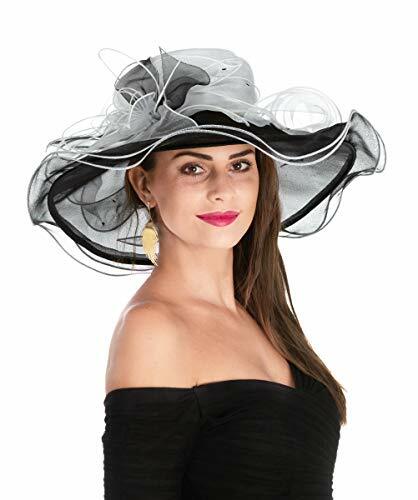 The dia. 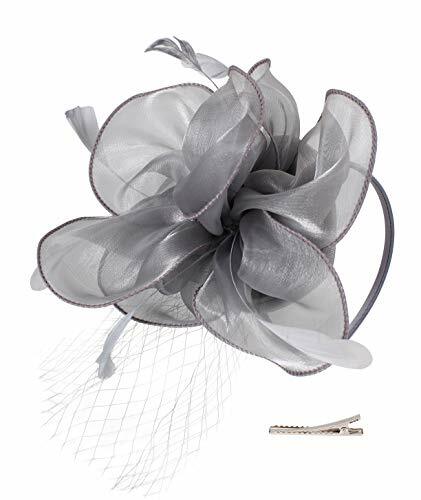 of the flower is about 20cm(7.87inch). 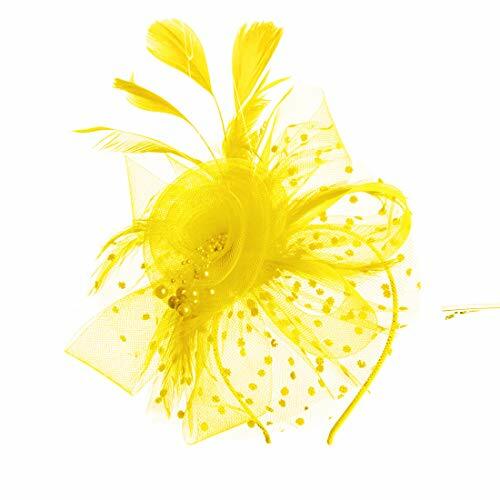 Headband is about 11x13cm(4.33x5.11inch), hairpin is about 5.5cm(2.16inch) long.